Spiro Theodore, DC (Gaithersburg) - Book Appointment Online! Our office strives to provide quality care that is based on individual needs. Dr. Theodore knows that everyone is different. He will take the time to determine your problem and design an individual plan that can restore your health and well being. 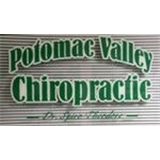 Learn more at www.potomacvalleychiro.com! We know that you are busy and probably do not have a lot of extra time in your day. We offer day, evening, and weekend hours and we have a NO wait policy. We want you to know, Potomac Valley Chiropractic is a family centered practice. Dr. Theodore has years of experience adjusting children as well as adults. He also specializes in sports injuries and enhancing athletic performance through Chiropractic care. Also, our staff are certified chiropractic assistants, trained and licensed by the state. We gladly accept most insurances, personal injury, workers compensation and auto accident cases.